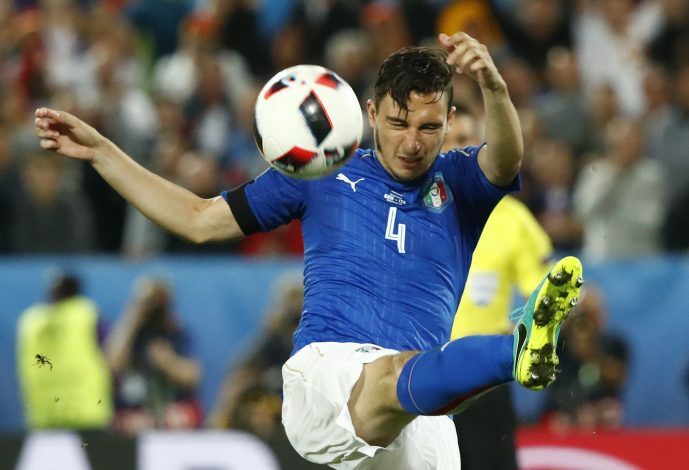 Matteo Darmian is being heavily linked with three major Italian clubs, as per latest reports. Inter Milan had previously registered their interest in the full-back, as the versatile defender failed to make many appearances for the Old Trafford outfit. The 27-year-old has been held back with injuries, and hasn’t been able to replicate his form since his advent to United. He has also been grappling with Antonio Valencia, who knocked him out of his regular position. Nonetheless, according to Gazzetta Dello Sport, Juventus, Napoli, and Roma are now looking to secure the United man’s services. Although the former Torino full-back is capable of showcasing a better version of himself, Jose Mourinho isn’t evidently impressed by the Italian’s performances, which has consequently hinted at a plausible move away from Old Trafford. Regardless of the fact that he is not being used much by the Red Devils, the Italy international possesses tactical awareness, pace, stamina, and other attributes which allow him to cover the wing effectively and provide width to his team when attacking, which tempts the Italian giants to acquire the signature of the United man. The AC Milan academy graduate has years left on his current contract with the Premier League powerhouse nonetheless, extending up to 2019, even though Mourinho might not wish to see out the rest of the defender’s years at the Theatre of Dreams. Passionate writer, coated in Blue.